You are here::Home/What Should I Read Next??? BookBrowse — Reviews, genre lists, and read-alikes in fiction, mystery, nonfiction, children and teen. Booklist Online –Book and audiobook lists and reviews for adults and youth; blogs and webinars for book lovers. BookPage — Book reviews, author interviews, e-newsletters, blogs, book lists by genre, children’s books. BookSpot — Links to dozens of book-related websites, including reading lists, bestsellers, first chapters, book awards, genres, authors, publishers, criticism, literacy resources, e-resources for writers. 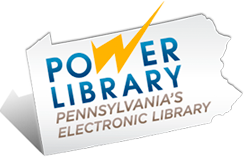 Books, Music & Movies — Staff picks, multimedia blog, and more from the Chester County Library. Fantastic Fiction — Author and series information. GoodReads — Get book recommendations; create your own “bookshelf” to track and share the books you read; search and browse books by genre, subject, author; engage in literary trivia and quizzes. Guardian Children’s Book Site — Book reviews, editor picks, lists, multimedia, blogs, selected first chapters and author readings. Hennepin County Library: Books and Reading — Browse book, audiobook and eBook lists for adults, teens and children, and an “If You Like” genre search. Kent District Library: What’s Next Database — Enter title, author or series name for printable list of titles in a series. Library Booklists — Book lists focused mainly on crime fiction, links to published lists, a database of author birthdates, and reading group resources. LibraryReads — Book lists with annotations. NextReads (LibraryAware) (select Featured Resources, then tab to NextReads) — Book suggestions in 26 genres, including for children and teens. Use your valid CCLS card to sign up for a free monthly e-newsletter. NoveList Plus — Book recommendations, reviews, lists, articles, read-alikes, fiction & nonfiction, award winners, and more. For all ages. Overbooked — Book lists in fiction and nonfiction, including “starred review” lists. Plymouth District Library: Youth Booklists — Book lists organized by age of child, from preschool through grade 8, and book-related resources for parents. Readalikes (Public Library of Anniston-Calhoun County) — Find new authors based on an author you like. 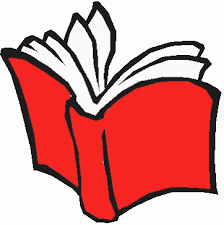 RUSA: The Reading List – Highlights top books in genres and backlist suggestions. Seattle Public Library: Books & Media — Staff-created reading lists for children, teens and adults. What Should I Read Next? — Find a book recommendation or suggestion for what to read next by searching a database of real readers’ favorite books; searchable by title, author or ISBN. Whichbook.net — Offers book, eBook, and audiobook lists based on a selection of up to four criteria in a dozen categories: happy…sad, gentle…violent, optimistic…bleak, etc. Also searchable by character, plot and setting criteria. YALSA’s Book Awards & Booklists — Variety of lists from the Young Adult Library Services Association, including award winners, lists for reluctant readers, lists for the college-bound and teen-nominated titles.